If you woke up Wednesday morning and your car wouldn't start, you are not alone. As record-smashing cold enveloped much of the country, many drivers found themselves with dead batteries. 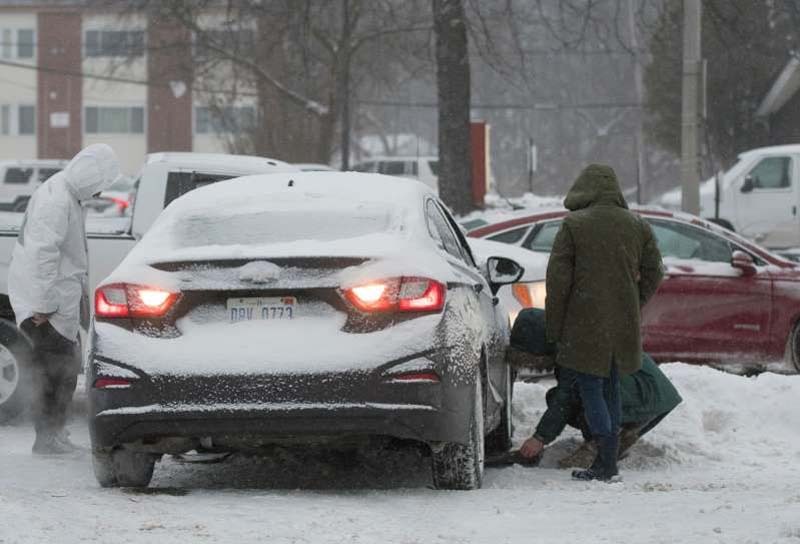 When it gets this cold outside, many things can go wrong with your car, but a big one is the battery, said Tires Tires Tires service adviser Rod Sammons. If your battery is on the older side, this can be a big problem. "If you have a weak battery at all, the car just won't start," said AAA South Dakota spokeswoman Marilyn Buskohl. She recommends getting a new battery every three years. Jump it. Sammons says getting a jump from a friend or tow truck will often do the trick. "If the battery's got any life left in it at all, you can jump it," he said. Your car's manual will include instructions on how to do this. Read them beforehand, because jumping a car incorrectly can cause your battery to explode! Also, let your car run for at least 20 minutes after it's been jump-started to let the battery recharge or you could face the whole problem again when you try to restart it. And a note about next time: It's always a good idea to have jumper cables in the back of your car. Bring it to an auto shop. Bringing your car into an auto shop is best for determining what exactly the problem is, Sammon said, but it can also have a positive side effect. "Sometimes all it takes is getting it into the shop and letting it warm up for a few hours and off it goes," he said. Hold the key in the ignition for 10 seconds. In cold weather, engine oil thickens and doesn't flow as well. Moisture in the fuel lines can also freeze and cause a blockage, causing the engine to not start, Buskohl said. "To start a car in freezing cold winter weather, start by shutting off any accessories, like the heater, radio and lights," she said. Then, put the keys in the ignition, turn and hold the key for up to 10 seconds. If this doesn't work, wait a minute or so before repeating the process. ake a Lyft to work and plan better for next time. Most people to wait until it's too late to start thinking about whether their battery is in good shape, Sammon said. While it may not help now, it may help you avoid a similar situation the next time the temperature dips. Avoiding problems in the future: Parking in a garage, whether heated or not, will keep your car warmer than parking it outside. Even a carport keeps a car several degrees warmer than one parked outside with no protection. Electric engine warming blankets can be easily fitted atop your engine or on the inside of your car hood to keep your engine warm overnight, according to Lifewire.com. Other heaters include block heaters that bolt electrical elements to the exterior of the engine, oil heaters that take the place of a dipstick and coolant heaters to keep the antifreeze from, well, freezing.